The 2019 Burn Metamorphosis is coming!! We still have some room in our camp, and welcome you to utilize our services on the Playa! Please, Please, Please Contact us early!!! If you are mobility impaired or looking to volunteer read on – and learn more about our camp, the services we offer, and how you might join us! Our camp is getting full – we still have camping for both the mobility impaired and the able bodied. Last year saw the first ever Wheelchair Lamplighters!! More Radical Inclusion at it’s best! We provide wheelchair accessible Camping, power for Medical Equipment, and two obstacle courses for the Able Bodied! 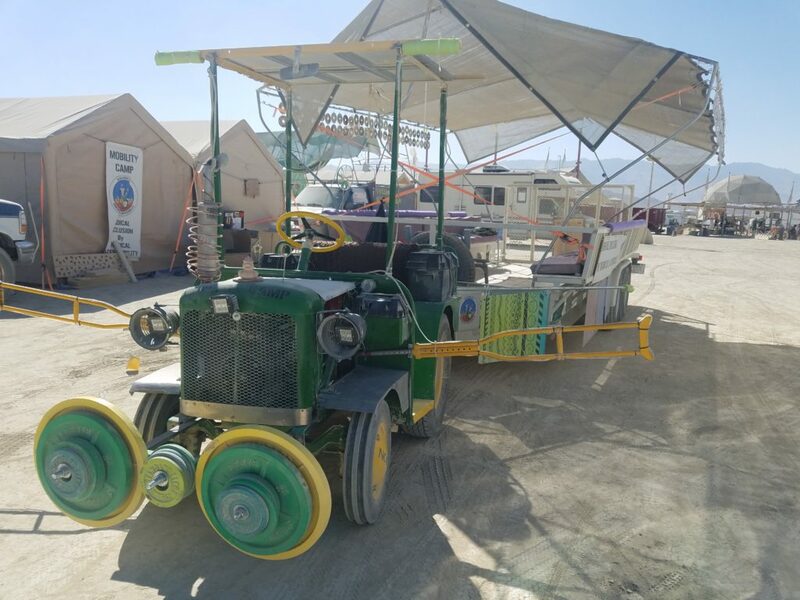 We take our new tractor and 23 ft accessible trailer rig out into the playa 3 or 4 times a day so that those who cannot bike, or walk and have no means of transportation, can still experience the Man, the Temple and the Playa Art! Here is our new tractor and trailer rig we were able to buy and modify with your financial assistance last year! Mobility Camp also provides educative support to the alternatively abled, as well as their supportive friends and family via our website and email prior to the Burn, where we try to answer any questions you might have. 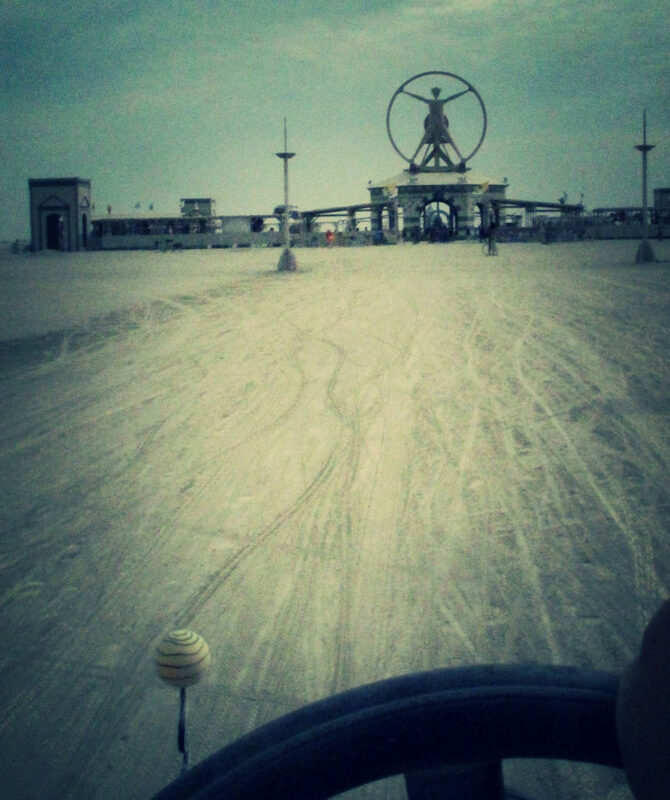 We have a lot of experience to offer to those who wonder if it is even possible to go to Burning Man, Contact us. 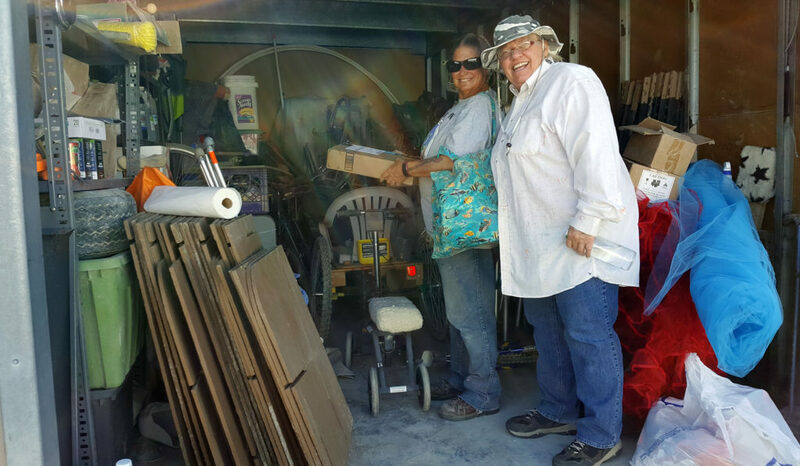 We can help you make your own camp or art car accessible in the spirit of radical inclusion! 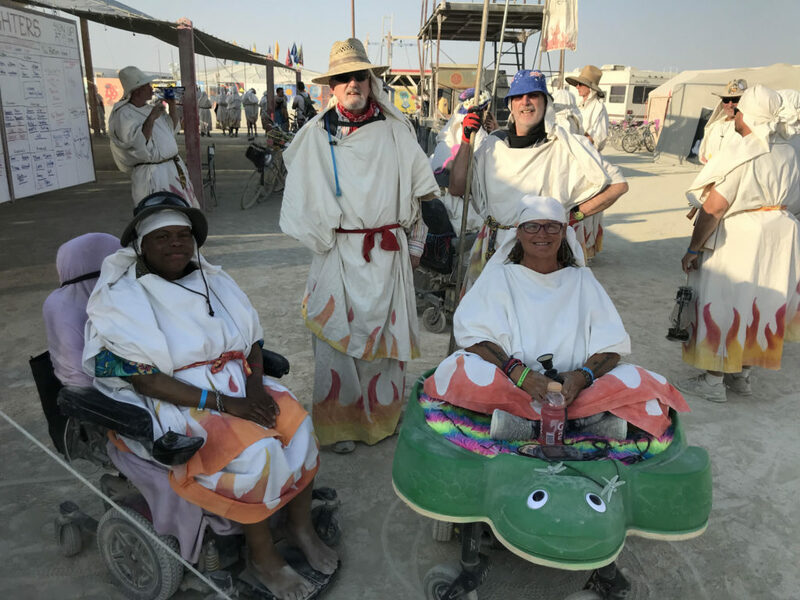 We are developing our Resources Page, please email us with any tips or tricks you might have, or know of, which would help the mobility impaired on or off the Playa. We continue to work on building a strong camp team for future burns, if you are interested, please contact us! We had a full 2018 camp, but continue to look for burners both mobility impaired and able bodied who can add to our experience and the experience we offer to others. We are continuing to revision the camp under new leadership as of the 2013 Burn…….We are proud to be able to continue the 20 years of support and services by Mobility Camp to the mobility impaired, in the name of radical inclusion! We are always looking for your help and support. We welcome volunteers and other resources should you be in a position to help, please visit our wishlist page. Thanks ! Please feel free to contact us and make your suggestions. We are going to do it better, and better and really great. Really Great ! …..and of course we will have the Book Crossing Zone again this year! our contact information on, and/or email us for more! This entry was posted in Uncategorized on May 27, 2015 by brcdoa.